Minarets Of The Al Sahaba Mosque In Sharm El Sheikh Against Bright Blue Sky And Fluffy Clouds. Lizenzfreie Fotos, Bilder Und Stock Fotografie. Image 115452743. 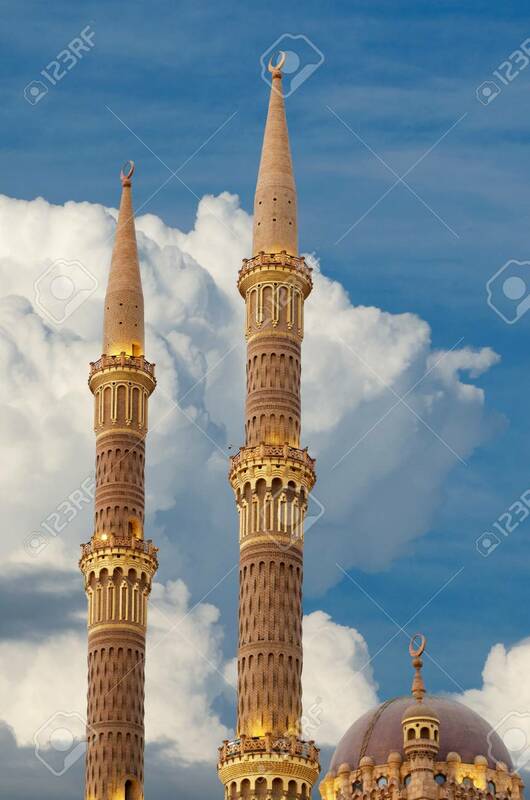 Standard-Bild - Minarets of The Al Sahaba Mosque in Sharm El Sheikh against bright blue sky and fluffy clouds. Minarets of The Al Sahaba Mosque in Sharm El Sheikh against bright blue sky and fluffy clouds.